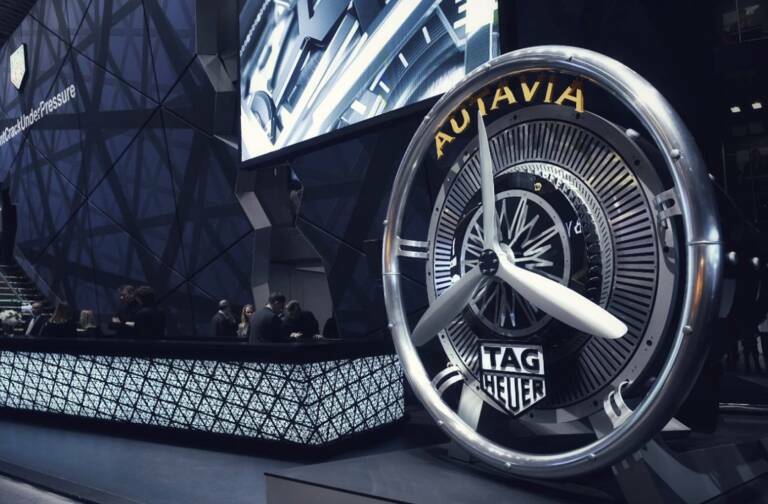 Fashion Week took place in Paris from March 1st through 9th. 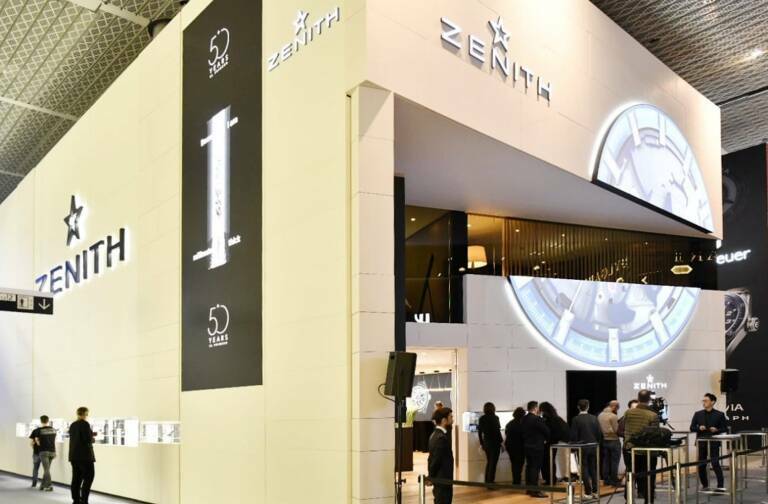 LVMH’s Parisian Fashion Houses presented their ready-to-wear collections for Fall-Winter 2016/17. 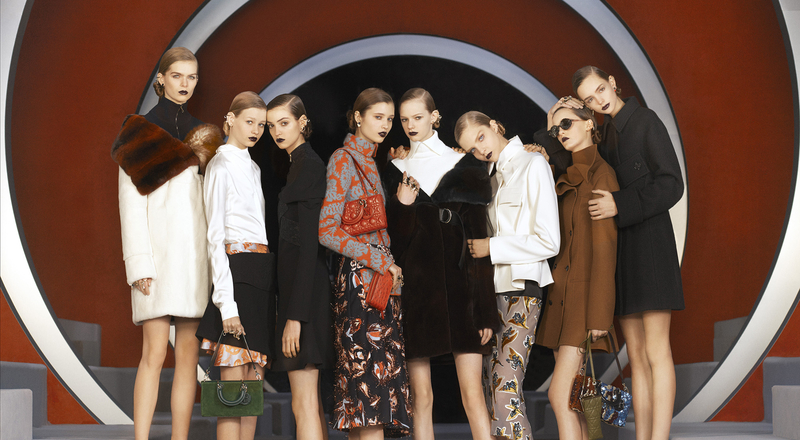 Céline, Dior, Givenchy, Kenzo Loewe and Louis Vuitton all sent out boldly feminine silhouettes, blending classic looks and futuristic inspirations. Céline’s Creative Director Phoebe Philo is once again faithful to the relaxed and pragmatic elegance that inspires her creations. Fluid, loose, round shapes permeate her Fall-Winter 2016/17 collection. Silk, velvet, crêpe or leather, myriad materials follow the body’s movements. 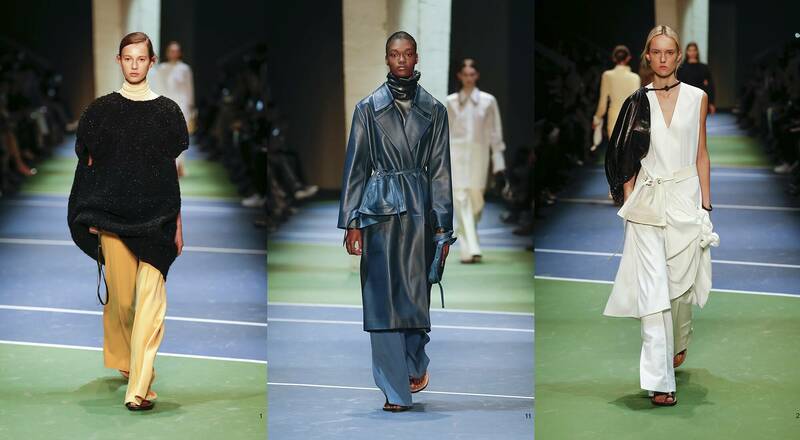 Silhouettes flow in ultra-fluid flared pants, paired with sleeveless cocoon-coats or long airy tunics. A natural color palette accentuates the spirit of meticulous minimalism. In a décor of futuristic mirrors and alcoves set up in the Louvre’s Cour Carré, the silhouettes designed by Lucie Meier and Serge Ruffieux, the designer duo who helm the Dior Couture Studio, celebrate a free and eccentric Dior woman. Models with their hair slicked back into tidy buns wore dark lipstick and low-heeled snakeskin ankle boots, for a sophisticated rebel look. The all-black looks of the first silhouettes gave way to a dynamic combination of fancy patterns: re-colored jacquards, hand-painted dévoré velvets, embroidered motifs on prints, a touch of leopard… refined silhouettes with a whimsical touch. 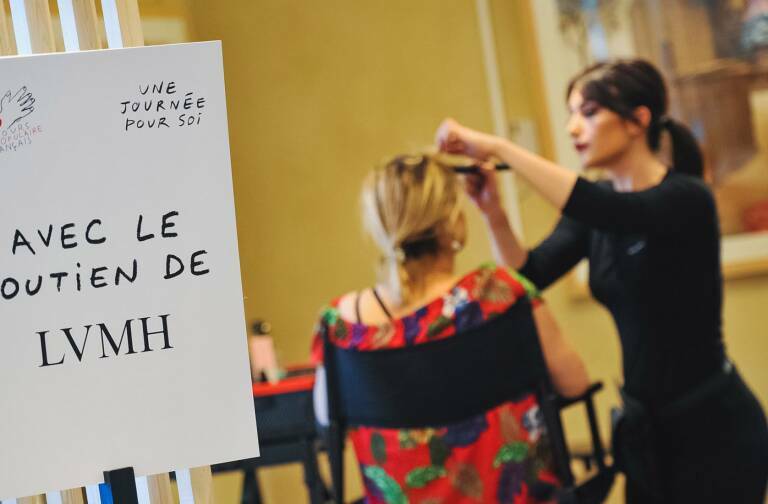 Connecting with February’s haute couture collection, there was a special focus on shoulders: hidden under drapes, revealed by a graphic or asymmetric neckline, shoulders are covered or boldly bared. Givenchy Creative Director Riccardo Tisci’s new collection is rich with his eclectic inspirations. Silhouettes on the catwalk displayed the designer’s signature black, in ultra-chic silk with narrow knee-high boots, or illuminated by bold motifs. Egyptian hieroglyphics and symbols mix with psychedelic prints straight from pop culture. 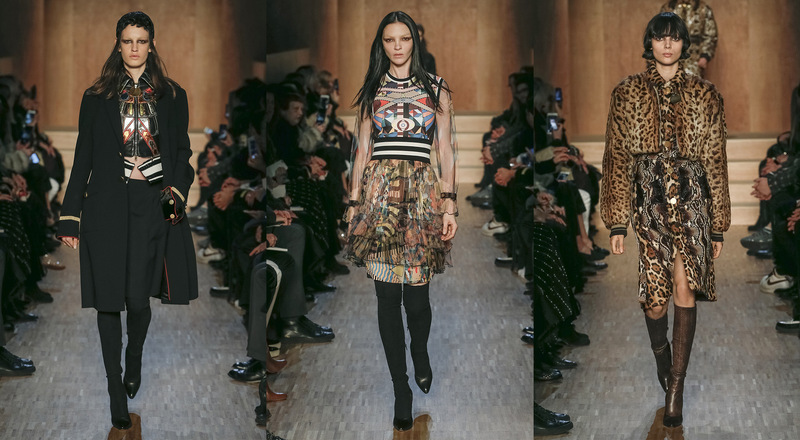 When it comes to materials and motifs, Tisci is not afraid of compilations: leopard velvet paired with fluid, antique-inspired printed skirts, fur combined with python, gold-embroidered jacquards. 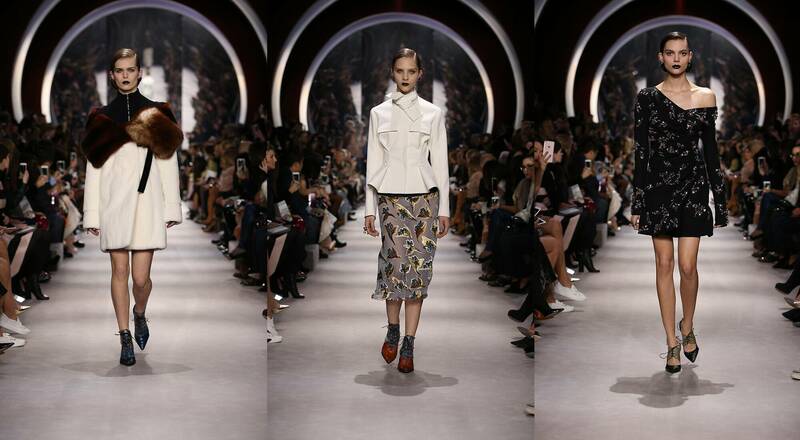 A kaleidoscope collection for the strong Givenchy woman. 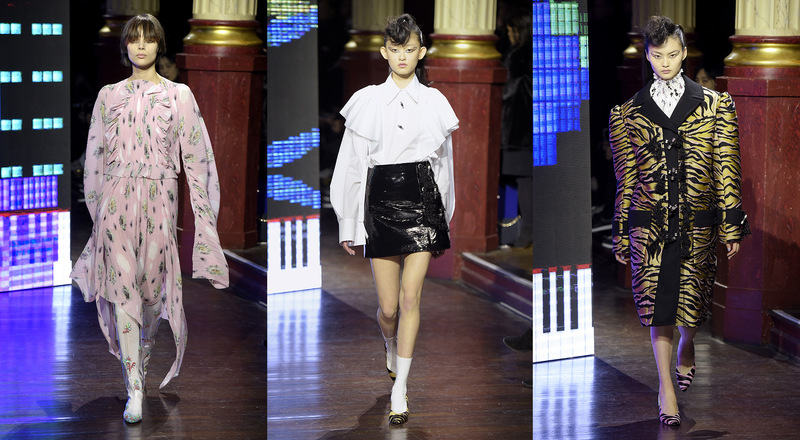 Humberto Leon and Carol Lim revisited Kenzo’s emblematic codes with a dose of irreverence, offering the silhouette of a confident woman with a winning spirit, inspired by the manga character Sailor Moon. Prints reigned on the podium. On vinyl or fur, these prints are combined with graphic checks and iris and dandelion floral motifs from Kenzo’s archives. Classic pieces such as shirts and duffle coats are deconstructed and re-proportioned. Empire waists give structure to dresses and skirts. Footwear includes boots featuring the collection’s motifs and high-heeled pumps that play with the notion of transparency. 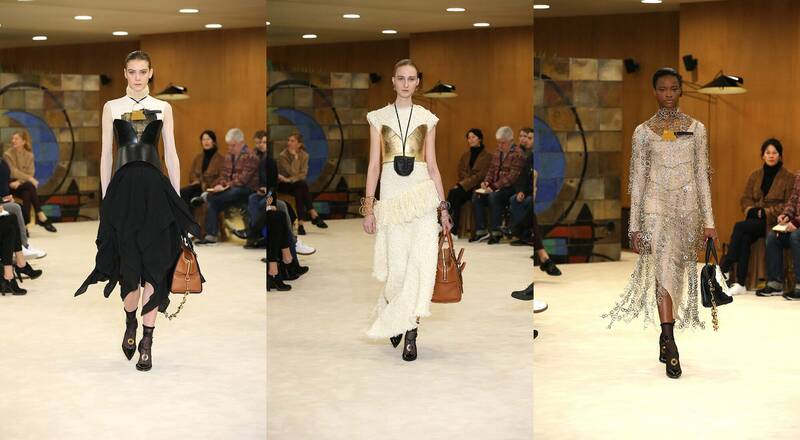 As it has for several seasons, Loewe chose the art-filled Salle Miro at Unesco as the setting for a sophisticated new collection. The silhouette is structured by body-conscious cuts. Long, asymmetrical dresses and skirts robes add volume and lightness, while leather yokes and corsets revisited in gold leaf mark the waist and underline feminine curves. Once again, Loewe Creative Director Jonathan Anderson plays with a sophisticated layering of materials. Second-skin knits and fluid silk dresses are combined with metal rings. As for accessories, cat pendants and tribal mask amulets stand out next to gold wire chokers. Bags shared the center stage spotlight, from the new Joyce bag to an array of iterations of the Amazona. In a breathtaking scenography created by the artist Justin Morin, at the heart of a geometric structure conceived as the “archeology of the future”, erected on the lawns around the Fondation Louis Vuitton, Nicolas Ghesquière explores Louis Vuitton’s stylistic heritage. Yesterday’s designs are reinterpreted for today’s tastes, oscillating between unabashed classicism and a new vitality, lending silhouettes an athletic appearance. Light scarf-dresses combined with bold leather accessories, extra-long gloves, revisited corsets and thick-soled boots. 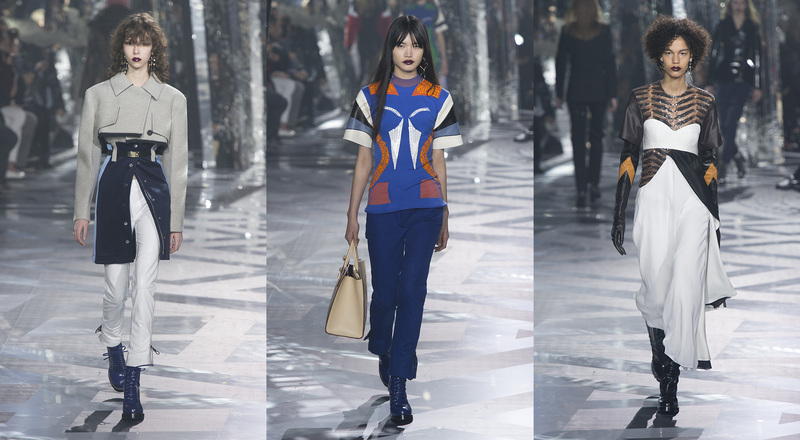 Louis Vuitton continues to define a woman who is a modern-day heroine, a true explorer of contemporary and future times.